Many parents are now homeschooling kindergarten for a variety of reasons. Some feel their children aren't ready for public school, and they want to give their children another year to mature. Others know their children have already mastered the information taught in public school, and they don't want their children to be bored. And others homeschool kindergarten as a trial year or gentle introduction to homeschooling. Whatever the reasons, homeschooling kindergarten is a great way to begin your child's formal education. Here's some info that will help you successfully home school kindergarten. For social studies, kindergartners learn about the world around them, including family structure, major holidays and traditions, community helpers and other cultures. Kindergarten is a time when many children begin learning how to read. Focus on helping your child learn to listen to classic nursery rhymes and stories, tell stories, speak in complete sentences, and recognize letters and their sounds. If you see signs of readiness, you may want to move on to teaching your child to blend sounds to form simple words, and write numbers, letters and his or her name. Although many parents feel confident teaching their children academics, some wonder if they can adequately teach social skills. Your child can learn how to interact with peers at play dates, park days, library story times, community events, and homeschool group activities. In addition to learning to be a good friend, teach your child how to be a good listener and follow directions. Health and safety topics are easy to teach during the course of daily life. Talk to your child about manners, healthy eating habits, physical exercise, dental hygiene, proper grooming, body parts, bathroom skills and basic safety. Your kindergarten homeschool does not have to resemble a public school classroom. Keep lessons simple, and move as quickly or slowly as desired, according to your child's level of readiness. Some children will be ready to write, some won't. Some children will be ready to read, some won't. Your child may not want to do anything other than play, and that's okay. I believe in using kindergarten as a gentle introduction to formal schooling. We spend around 15 minutes on math and 15 minutes on reading using a simple math and phonics curriculum. We study science and social studies by reading, going on field trips and outings, and exploring concepts we encounter in everyday life. 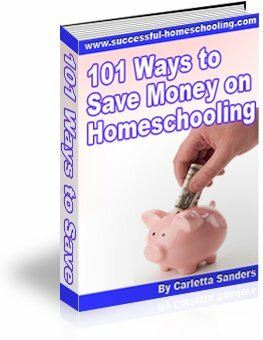 Here are some tips for choosing a homeschool reading curriculum and homeschool math curriculum. Here are some of my favorite kindergarten resources.